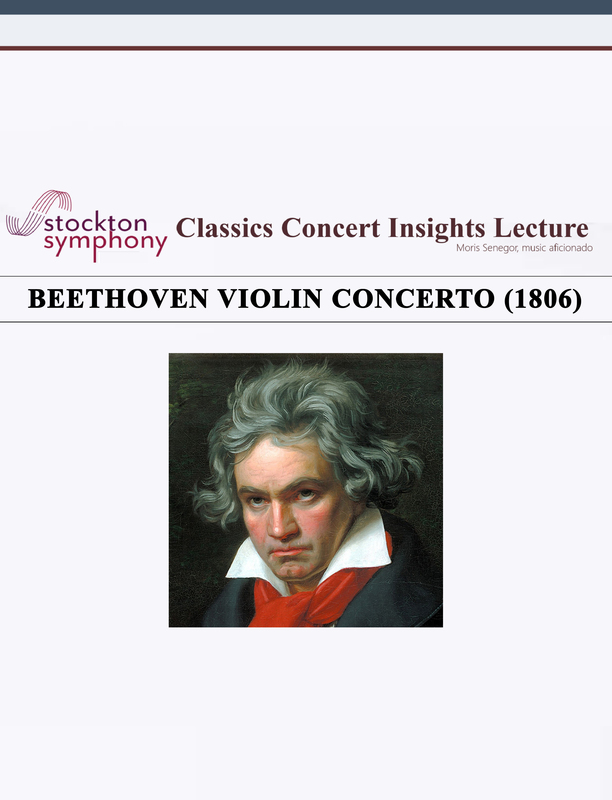 Beethoven’s Violin Concerto is the only major Violin Concerto in the current repertoire, composed between Mozart’s five concertos of 1775 and Mendelssohn’s E minor Concerto of 1884. Yet, after its 1806 premiere, Beethoven’s Violin Concerto fell into obscurity for 38 years, until its re-discovery by a child prodigy violinist in 1844. Definition: Three movement work for solo instrument and orchestra. Opera analogy: Orchestra is the chorus, soloist is the diva. The balance between orchestra and soloist is paramount to any analysis of concerto. Composer wishes to display his own skill with the instrument. The work is commissioned by a soloist for him or her to perform. In either case, groundbreaking concertos feature novel displays of the range and capabilities of the instrument. Beethoven was a pianist. However, as a young man he had studied the violin in Bonn and played as an orchestral violist. In the early 1790s Beethoven attempted to write a violin concerto in C minor, but abandoned the work. At the turn of the century, he wrote two Romances for violin as well as ten violin sonatas before he wrote the Violin Concerto. It was commissioned by violinist Franz Clement (see below). Clement was the conductor of Vienna’s Theater an der Wien (1802-11) when he commissioned Beethoven to write a violin concerto for him. Clement had written his own violin concerto, also in D major (1804); Beethoven modeled some his after Clement’s. Beethoven was late in completing the score, only two days before the performance. Note that Beethoven did not dedicate the work to Clement, but rather to Stephan von Breuning, a childhood friend. A child prodigy on the violin, Clement was also a fine pianist and orchestral conductor. His musical memory was legendary. He once prepared a piano score of Haydn’s Creation by ear. Beethoven first heard Clement perform in 1794, when Clement was 14 years old. They became friends and colleagues. Clement became a champion of Beethoven’s music. He was involved in the original production of Beethoven’s opera Fidelio and was concertmaster in the premiere of the Third Symphony. When he commissioned the Violin Concerto, Clement, aged 25, was at the height of his career and at the center of Viennese musical life. “Clement could not play loudly.” (Patricia Kopatchniskaja) Therefore the concerto has many p & pp violin passages. Clement premiered the work on December 23, 1806 at the Theater an der Wien. Clement’s career eventually faded. He spent his late life as an itinerant musician, out of touch with the trends of the times. Beethoven rejected Clement as concertmaster for his Symphony #9 (1824). Clement died in poverty in Vienna, in 1842. The 1806 premiere at the Theater an der Wien also included Beethoven’s Eroica symphony, led by Beethoven. Clement is thought to have sight-red the score, delivered two days earlier. The concerto received mixed reviews. After the premiere, Clement continued performing the concerto (1807, 1815, 1833). Otherwise, the concerto fell into obscurity (1806-1844). Other performances during the period of obscurity: Luigi Tomasini Jun 1812, Baillot 1828, Wiele 1829, Vieuxtemps 1824, Barnbeck 1834, Ulrich 1836, Gulomy 1841. The concerto was popularized by another child prodigy, violinist Joseph Joachim. Joachim gave an influential concert for the London Philharmonic Society on the 27 May 1844, conducted by Felix Mendelssohn. The 13-year-old virtuoso was making his debut there as a soloist. By then musical tastes had changed. The concert was wildly successful and this steered Beethoven’s Violin Concerto into the musical repertoire. Robin Stowell points out that there were other early champions of Concerto besides Joachim: Eugène Ysaÿe, Carl Flesch and Henry Vieuxtemps. It was misunderstood in Beethoven’s lifetime. Many violinists considered it unplayable because of its widespread use of a high register. Many also considered it “weak” because of its association with Clement who had the same reputation. The hasty premiere performance, because of the late score, did not allow for a convincing performance, resulting in mixed reviews. Upon request from Muzio Clementi, in 1807 Beethoven created a piano version of the Violin Concerto. This included a first movement Cadenza written out by Beethoven. VIENNESE PERIOD (1792 -1802) – Classical style; Symphonies # 1 & 2; Piano Concertos # 1-3. HEROIC PERIOD (1803-1815) – Romantic style; Symphonies # 3-8; Piano Concertos # 4 & 5; Violin Concerto. LATE PERIOD (1820 –1826) – Monumental works; Great Fugue, Symphony #9. ORCHESTRAL EXPOSITION: Theme I (home key), lyrical Theme II (different key), Closing Section. SOLO EXPOSITION: Solo instrument may repeat orchestral themes, usually with embellishment, or present its own themes. DEVELOPMENT: Orchestra and solo instrument jointly subject the exposition material to musical variation. RECAPITULATION: Themes return, all in home key; orchestra and soloist share the section. CADENZA: Soloist plays alone, displaying the capabilities of the instrument and/or player. CODA: Concluding music, usually brief. FIRST MOVEMENT: Allegro ma non troppo; D major; Double Exposition; 4/4 time. THIRD MOVEMENT: Rondo, allegro; D major; Rondo Form; 6/8 time. Adheres to the Classical prescription in its overall plan. The first movement however, displays a Romantic Era aesthetic. Beethoven expands its breadth and scope to symphonic proportions. In keeping with Clement’s “neat, elegant and lyrical” style, it is not overly virtuosic. The solo violin is not a prima donna; it is mostly a commentator or embellisher. Beethoven scores most thematic passages for woodwinds. This highlights contrast of timbre with the solo violin. Beethoven’s frequent use of the high register foe the solo violin, allows it to be heard distinct from the string section of the orchestra. The Concerto opens with a most remarkable gesture, five beats on the tympani with a characteristic s-s-s-s-l rhythm. NOTE: This Tympani Motif is a unifying element, appearing in melody or accompaniment in more than half of the movement. NOTE: The Tympani Motif imparts a march-like, martial character to what is otherwise a mostly lyrical movement. A gentle, tranquil melody marked dolce, in oboe and clarinet, punctuated by the Tympani Motif. NOTE: These peculiar D-sharps are a preview of a passage that provides a harmonic transition between Theme II and the Closing Theme. A gentle descending passage in strings leads to the Transitional Scale Theme. Clarinet and bassoon play a rising scale theme, sequenced up three times. NOTE: this Scale Theme is an important feature of the movement and will be greatly elaborated in the Solo Exposition. Full orchestra suddenly erupts with a loud, martial gesture, in the distant key of B-flat major. This spawns a loud passage in strings derived from the Tympani Motif. It soon becomes evident that this eruption is there to introduce Theme II. NOTE: This explosive gesture serves an introductory function in the movement. It will introduce Theme II, Development, and Cadenza. This is the grand, famous melody of the Beethoven Violin Concerto. It is a beautiful, four-square melody, stated twice. Phrase structure: a-b-a-b’; a-b is an antecedent; a-b’ is a consequent. It is first stated in D major, by oboe, clarinet and bassoon. The Tympani Motif, in strings, is in steady accompaniment. The second statement by the strings, more expansive, is in D minor. This unexpected switch to a minor key reveals a melancholic nature to the otherwise sunny, lyrical theme. The theme ends with a transitional passage of D-sharps playing the Tympani Motif. These allow the harmony to return to the tonic, D-major. Sonata Form movements in a major key as tonic, usually feature a second theme in the dominant (A major). Beethoven’s unconventional choice of D major- D minor for his grand melody introduces a “major-minor ambivalence” (Robin Stowell) that prevails. Beethoven will use the “correct” key, in a manner of speaking, for Theme II in the Solo Exposition. Begins with a slow crescendo in orchestra derived from the Martial Outburst. It is derived from the first three notes of Theme II, rhythmically altered. The Closing Theme consists of a single phrase stated by first violins and echoed in basses. This is then repeated. The music dies away and gives way to the solo violin. The overlap provides a sense of smooth continuity. Beethoven adopted these sorts of overlaps in his later concertos. It is finished off by the tympani that provides a codetta, with its 5-beat motif. Solo violin embarks upon an ornamented version of Theme I (D major), with wind accompaniment and the ever present Tympani Motif at the end of each phrase. The D-sharps in first violins reappear, each followed by a rising flourish from the soloist. The Transitional Scale Theme is now greatly expanded, initially in clarinet & bassoon, then loud and assertive in tutti. The solo violin takes it up after the orchestral statements and develops it in a lengthy passage of figurations. NOTE: This extended transitional theme is the first big departure from the Orchestral Exposition. The next departure is the notable absence of the Martial Outburst. Instead, the solo violin moves straight into Theme II. Theme II: (A major – A minor) The solo violin introduces Theme II with a trill. Clarinet and bassoon state the first phrase of theme (a-b), the antecedent, over a continuing trill by solo violin. The solo violin follows with a-b’, the consequent phrase. Upper strings play the minor version of the theme (A minor) in its entirety. Solo violin accompanies with triplet dominated figurations. NOTE: The Tympani Motif, so prevalent in the orchestral version of Theme II is surprisingly absent. The effect is a more lyrical statement. The D-sharps played by solo violin and strings come next. The soloist embellishes after each set of D-sharps. Some passage-work by soloist, “Majestic arpeggio figurations punctuated by orchestral strings,” (Robin Stowell) transitions toward the Closing Section. The Closing Theme is subdued, stated first in high strings, echoed by basses. The second statement, even softer, is accompanied by figurations from solo violin. Scale and arpeggio elaborations lead to a more melodic line accentuated by the Tympani Motif in strings. Violin then engages in a long trill in high register, a gesture that implies the end of a major solo section. This leads to anticipation of a new major orchestral passage. Instead Tympani Motifs appear beneath the trill, followed by a lengthy flourish of ascending and descending scales in solo violin, with a woodwind pedal accompaniment. The harmony shifts to F major. This last gesture is the final transition into development. The Solo Exposition is NOT a more ornamented version of the Orchestral Exposition, as many tended to be in the Classical Era. The Transitional Scale Theme is expanded to a mini-development. The Martial Outburst is missing. Theme II comes in the “correct” key (A major), but again features a major-minor juxtaposition. The Closing Section, majestic in the Orchestral Expo, is understated in the Solo Expo, outshined by extended passages of solo violin figurations. Beethoven gives the solo violin plenty of “stage time” here, in its first appearance. Beethoven begins the Development with what sounds like a verbatim repeat of the Orchestral Exposition, sans Theme I. It isn’t. Martial Outburst in orchestra, fortissimo, in the distant key of F major. The energy of the outburst dissipates in a transitional passage in first violins, followed by the Tympani Motif also in first violins. Theme II, first version (A major), returns, dolce, in oboe & clarinet, with first violins beating the Tympani Motif. Theme II, second version (A minor), now comes in fortissimo, tragic and more assertive than its prior versions. Amid the louder noise, the Tympani Motif is also loud in bassoon and brass. The D-sharps that followed Theme II are also loud, in orchestral unison. An abbreviated Closing Theme follows, also fortissimo, its energy soon dissipating into a transitional passage that parallels that of the Exposition. NOTE: Part I is NOT a verbatim repetition of the Orchestral Exposition. The key areas are different, so is some of the orchestration. The Closing Section is abbreviated. Robert Greenberg considers it an Orchestral Exposition 2, a varied reprise of Orchestral Exposition 1. Robin Stowell considers it the beginning of Development. So does Peter Jaffe. At this phase of his career Beethoven was experimenting with insertion of Exposition material between the true Exposition and Development. Another example can be found in his Symphony #4 (1807), second movement. Solo violin enters as in the Solo Exposition, with a variation of its mini-cadenza, but in C major. It then initiates its version of Theme I (B minor) in high register, espressivo, mimicking the Solo Exposition. The orchestra accompanies with wind figurations and regularly repeating Tympani Motifs played by the strings. The Solo violin’s version of Theme I soon moves into a lengthy developmental extension, “with Clemetian elegance and lightness” (Steinberg), taking motives of the theme through various different key areas. NOTE: This is when it becomes truly apparent that we are in development. The solo violin’s development of Theme I ends with a trill accented by a single, soft Tympani Motif in horns. The solo violin now plays a gorgeous, melancholic melody in G minor. Initially the accompaniment is string figurations & the Tympani Motif , soft in horn or bassoon. Solo violin extends the melody and develops it (E-flat major). The accompanying Tympani Motif is now more easily heard, in trombone & tympani. The solo violin plays a lengthy series of chromatically rising triplets with pedal accompaniment in strings. Toward the end of this passage the Tympani Motif, in pizz strings, begins accenting the triplets. A brief crescendo and fortissimo, tutti statement of the Tympani Motif ushers in the Recapitulation. The Tympani Motif, tutti & fortissimo, ushers in a loud, assertive return of Theme I (D major) and the D-sharps. The Transitional Scale Theme is briefly stated, loud in orchestra. Solo violin takes up this theme and extends it. A lengthy section of violin figurations follows. A sustained trill in solo violin ushers in Theme II, a-b phrase in winds. Solo violin completes the theme with its version of the a-b’ phrase, with a pedal in winds. This first version of Theme II is in D major. Strings state the melancholic version of Theme II in D minor. The solo violin accompanies with triplet figurations. It ends with the D-sharp passage. NOTE: So far all versions of Theme II have been in orchestra or shared between orchestra and solo violin. The solo violin has not “owned” Theme II. A transitional passage, first with Tympani Motifs, then with solo violin figurations. The Closing Theme (D major), in strings, is brief and subdued. Solo violin accompanies. Another lengthy section of solo violin figurations ends in a series of trills accompanied by Tympani Motifs in strings. The music sounds anticipatory, as if something important will happen. Solo violin vigorously runs through rising and falling scales with a pedal accompaniment in winds. It then rises in a crescendo towards the coming orchestral crash. The Martial Outburst (B-flat major) comes crashing in, tutti and fortissimo, and ends with a loud introductory gesture, a 6/4 chord. This is the third and last appearance of the Martial Outburst, introducing the Cadenza. The Recapitulation follows the Classical prescription, with all major themes returning to the home key of D-major, with the exception of the second version of Theme II that maintains its minor key version. The soloist and orchestra share the Recap more or less equally, the solo violin getting multiple opportunities for passage work. Beethoven did not write a Cadenza for the Violin Concerto. The most commonly performed ones are by Joachim, Auer and Kreisler. Beethoven did write a Cadenza for the piano version of the concerto and this, adapted to the violin, is another popular Cadenza used by soloists. Cadenzas usually end with a trill, a signal for the conductor to engage the orchestra. Beethoven requires that the Cadenza end quietly. To the listener, the beginning of the Coda may feel like the continuation of the Cadenza. For the first and only time in the movement, Solo Violin quietly states Theme II (D major) in full, dolce, with sparse pizz string accompaniment. At the end of this passage oboe & horns quietly intone the Tympani Motif. The solo violin finishes with a brief codetta that rises a couple of octaves. A reference is made to the Closing Theme in a “hushed duet” (Stowell) between solo violin and bassoon. Bassoon plays a Closing Theme motive; violin provides figurations. The hushed tone of the Coda ends in a “terse crescendo” (both Tovey & Stowell) in which the violin weaves figurations that rise several octaves, strings accenting the passage. Beethoven expands the Classical model to symphonic proportions, most evident in early Development where the Solo Exposition seemingly returns. The overall running time of the movement, in the vicinity of 20 minutes, is longer than many entire Classical Era concertos. Among the numerous musical ideas presented, Theme II is clearly the Queen of the movement, its dramatic focus. Theme II has a unique double nature. It is always stated in a major key followed by a dark hued version in a minor key. The solo violin does not seem to own Theme II. It is fully or partly stated by the orchestra, the violin at most providing the consequent phrase on occasion. In a stroke of dramatic genius, at the very end of the movement, Beethoven assigns a sweet, quiet version of the full Theme II to the soloist. This final version of Theme II is its only statement solely in a major key. Rhythmic saturation with repeated notes occurred frequently in Beethoven’s music of the time: Appassionata and Waldstein Piano Sonatas, Piano Concerto #4, Symphonies # 5 & 6, and F major Quartet. Beethoven elevated the tympani from a mere drum to a musical instrument of importance, giving it significant roles in, for example his 4th and 9th Symphonies, as well as in this Concerto. Its structure does not conform to any known forms. Various scholars have interpreted it differently. It is loosely based on the idea of Theme and Variations. The first half of the movement conforms to it. The second half of the movement is somewhat akin to Rondo, with different recurring themes. The theme is stated by muted violins with string accompaniment. It is a lyrical theme, stately in its dotted rhythms and pauses. Phrases: Antecedent: a-a-b; Consequent: a’-a’-c-d. The theme is stated in 10 measures. Michael Steinberg call it “an eight measure theme rounded off with a two-measure benediction.” Phrase d is the benediction. The melody stated by horns and clarinet while the solo violin provides decorative accompaniment and fills in the pauses. It also plays the final c-d phrases of the consequent. Similar to Variation 1, except it is mainly a duet between bassoon & solo violin. Solo violin provides more florid decoration. It also bridges the two phrases with an elaborate mini-cadenza. A “spectacular three octave ascent” (Greenberg) by solo violin provides a codetta. This variation belongs to the orchestra. The solo violin is silent. It is a stately tutti climax on Theme A, the phrases punctuated by dotted rhythms in winds. It acts cadentially, bringing the first half to a close. A series of rising scales by solo violin, “dreamy arabesques” (Tovey), dolce, lightly accented by clarinet & bassoon, acts as an interlude between the two parts of the movement. Solo violin starts a pretty new melody, cantabile. Accompaniment is in strings. The melody ends in a cadential trill repeated an octave higher. Solo violin plays another variation of Theme A with pizz strings in accompaniment. A brief solo violin interlude on a melody derived from the first 3 notes of Theme A. Quiet transitional passage leads to reprise of Theme B.
Solo violin reprises Theme B in a more embellished version. Sparse, slow moving accompaniment in winds. It ends with the same cadential trills in solo violin. This is a modified, shortened version of Theme C in solo violin. Begins with solo violin figurations; muted horns then intone Theme A. A sudden jolt! Strings are unleashed in a fortissimo statement of Theme A motive. The harmony shifts to D major. This is a brief, loud passage that announces a cadenza. NOTE: This jolting gesture is akin to the Martial Outburst of Movement 1, the last one of which served the same mission of announcing a cadenza. A brief solo cadenza is followed by a one bar gesture that segways into the third movement. The first half of the movement belongs to the orchestra, the second half to the solo violin. Overall the music is static, remaining mostly in the same key, G major. The other two are the slow movement of the Appassionata Sonata and Trio in B flat. Segways: At this point in his career Beethoven was experimenting with segways between movements. They can also be found in his Symphonies # 5 & 6 (1808), Piano Concertos #4 (1808) & #5 (1809), and Triple Concerto (1804). The movement is in Rondo form with two recurring themes and one dramatic diversion. Solo violin begins the main Rondo Theme, in the G string, in low register, with sparse cello accompaniment. Phrasing is simple: a-b, antecedent-consequent. A single measure “appendage”, phrase c is a rising, inquiring melody. It receives a brief orchestral response, phrase c’. Solo violin repeats the theme two octaves higher, delicamente. Phrases c-c’are in horns and orchestra respectively. Full orchestra bursts out with a fortissimo restatement of the theme. An extension follows, with a highly accented melody full of dotted rhythms. Picking its cue from the ticking transition, solo violin embarks on a transitional passage in high register. This is a vigorous conversation between orchestra and solo violin. The melody bursts in tutti. It is a brief rising-falling idea derived from phrase c of A1, an inversion. Solo violin answers. The first orchestra-violin exchange is in A major. The exchange is repeated in A minor. NOTE: This passage is reminiscent of the major-minor dichotomy of Theme II in the first movement. Solo violin embarks upon lengthy virtuosic passage-work with quiet orchestral accompaniment. This ends in a trill that transitions to a reprise of the main Rondo Theme. Solo violin reprises the main Rondo Theme, Versions 1 & 2, verbatim. The tutti version in orchestra is different than the original. It is a truncated passage that lacks the extension. Instead, it is developmental, taking a motive of the theme through various keys. Brief transition by solo violin on the same motive. Solo violin embarks upon a wistful melody in G minor, accompanied by sustained strings. Bassoon repeats the melody in variation with solo violin providing embroidery. Solo violin states an antecedent-consequent phrase based on the new melody. Bassoon repeats in variation with solo violin providing embroidery. Transitional passage in solo violin and strings is followed by a crescendo on the opening notes of the main Rondo Theme (A1) leading the way into another reprise. This is a verbatim reprise of A1 with one tiny difference: after the tutti Version 3, the soloist enters its transition pizzicato, and an octave lower. The melodies are the same as in the original, B1 episode. The major-minor dichotomy is still there, but now in the tonic key of D.
Extended virtuosic solo passage similar to the original, with slight differences in accompaniment and harmony. The passage ends in a tutti crescendo that climaxes in an introductory 6/4 D chord and pause, announcing the Cadenza. Beethoven did not write a cadenza for this movement. Beethoven devised a lengthy Coda for the movement that serves a developmental function before concluding the work. The Cadenza ends in an extended solo violin trill on E.
Under the trill, cellos and basses enter with motives of the main theme. Solo violin changes its continuing trill to E-flat. With that, orchestral violins enter, playing the main theme motive (A1). Solo violin plays the main Rondo Theme (A1) with orchestral violin accompaniment, but in the very distant key of A-flat major. Solo violin embarks on a development of the theme in a modulatory passage. The passage ends with a solo trill followed by a diminuendo transitional passage toward D major. The main Rondo Theme is back in D major, in a delightful dialogue between oboe and solo violin. Dialogue repeated between solo violin and horn. In the glorious finale the solo violin and orchestra alternate. Solo violin engages in rapid scales and arpeggios. Orchestra interrupts with bursts of theme motives. The orchestral bursts on theme motive get louder and syncopated. The solo violin remains vigorous in between. The final twelve measures are mainly based on the D major triad. The orchestra’s final outburst on the triad fizzles in a diminuendo passage. Two crashing orchestral D major chords end the movement. NOTE: The solo violin began the concerto mostly playing second fiddle to the orchestra (pun intended). Eventually, the two elements find a balance with each other through much of the second and third movements. But here in the finale, Beethoven devises a dramatic confrontation between an assertive orchestra and a soloist that matches and surpasses it. This is mostly a light hearted, rustic Rondo, its mood fairly typical of the Classical Era. Theme B1, A major-A minor phrases. The G minor episode in the midst of a movement in D major. Theme B2, the D major-D minor phrases. In his delightful book Musical Blunders (1996) the late flutist and raconteur Fritz Spiegel tells how, during World War II, many top notch British musicians joined the Central Band of the Royal Air Force and pressed the bandmaster to include some “real” symphonic pieces in the band’s repertoire. The bandmaster, it seems, “was a little out of his depth in the classical repertoire” and when the Beethoven Violin Concerto showed up on the music stands he clearly had not studied the score, let alone recordings of the work .